We have been busy putting the finishing touches to the new Butchery & Charcuterie building here on the farm and with “The Grand Opening” being filmed for “The Dales” Series 3 on ITV we had a deadline, the 11th of September 2012. We finished the electrics the night before at about 10pm! So just the stage to set and make everything look the part. So we had a little party, invited a few friends & customers, made a little food, got some local beer, arranged for it to stop raining briefly and the Farm Butchery is now officially open! The Food: Just Meat & Beer! a fairly wide selection of meats & charcuterie, Yorkshire Chorizo Scotch Eggs, a sous vide mutton curry, a selection of PÂTÉS, Oxford Sandy Black pork rillette, crepinettes, sausages, cured meats, Yorkshire bresaola, Yorkshire chorizo and even lardo and outside on the spit roast, sticky ribs and a mixed spit of Yorkshire Dales Beef, Lamb & Pork, prepared by Nigel & Marc-Frederic. To Drink: a couple of barrels from Old Spot, Cullingworth O.S.B 4.5% abv and the delicious Inn-Spired 4.3%abv. 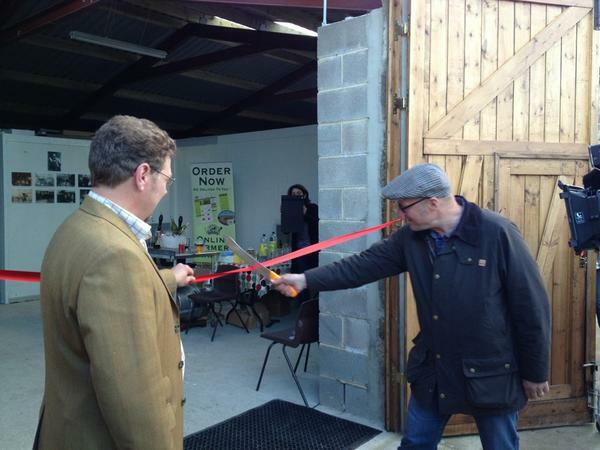 Ade “cut” the ribbon & said a few words but you will have to wait to see that on ITV in early 2013. Thanks to everyone who came along to support us and I hope you had a great evening and a little taste of things to come…. 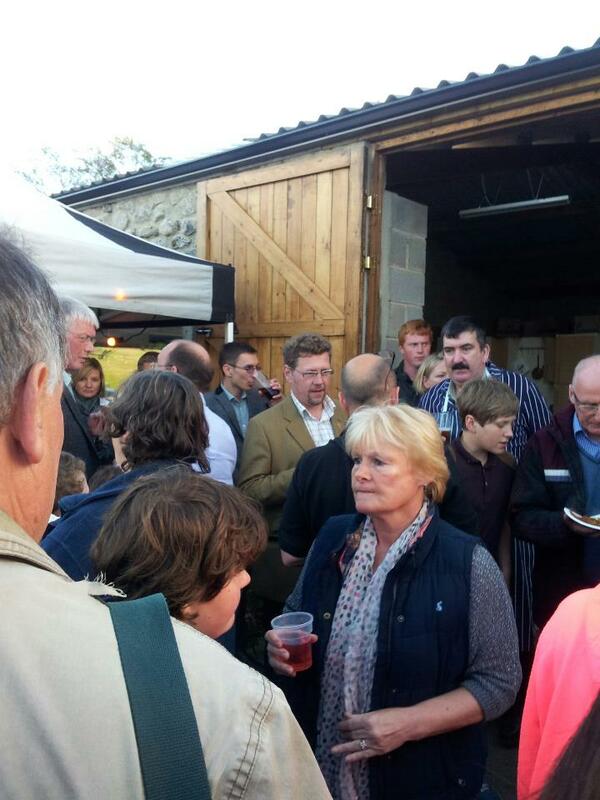 More pics of the butchery & the evening to follow. 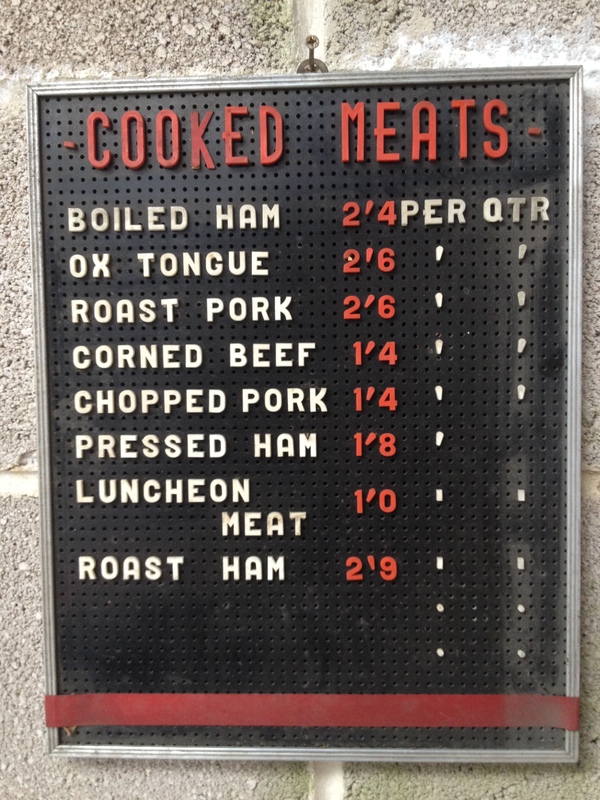 This is an old sign from the original Wildman’s Butchers, showing our range of cooked meats, complete with original prices & dust! 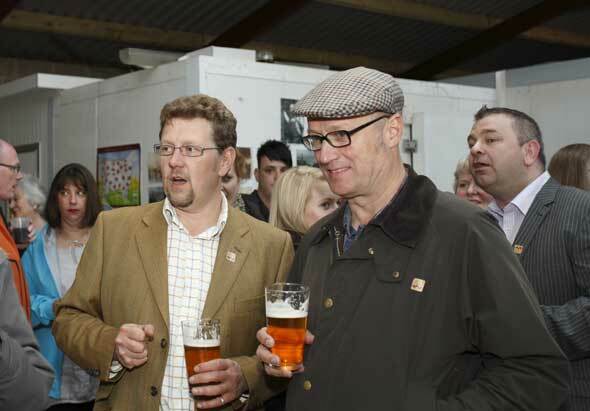 This entry was posted in BBQ, Beef, chefs, Chorizo, Farm, Food, Mutton, Pigs, Sausages, TV, Yorkshire, Yorkshire Dales Food and tagged Ade Edmondson, Adrian Edmondson, butcher, butchery, charcuterie, Cullingworth, Curing (food preservation), Food, itv, Meat, paganum, pate, The Dales, Yorkshire Dales, Yorkshire Charcuterie, yorkshire chorizo. Bookmark the permalink.